You might be noticing a theme here, after the S’mores Cupcakes and S’mores Pops I’ve already posted this week. To me, s’mores and summer just go hand in hand and I thought they deserved a special place on Glorious Treats, a full week of s’mores! 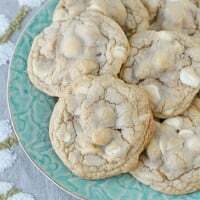 These cookies are a fun take on s’mores and would be perfect to bring to a summer BBQ or pack in a picnic. They are basically a s’mores version of chocolate chip cookies- two all-American treats are better than one, right? * Break graham crackers in half, so they are squares. Lay crackers next to each other, in a single layer on a baking sheet (the size of your baking sheet will determine exactly how many crackers you need). * Bake graham crackers in pre-heated oven for 4 minutes. Remove from oven and set aside to cool. * Cream the butter and sugars together in the bowl of an electric mixer. * Add egg and vanilla. * In a separate bowl stir flour, baking soda, salt and cinnamon. Then add to butter mixture and mix until just combined. * Fold in chocolate chips and 1 cup marshmallows. * Use a large cookie scoop to scoop dough onto graham crackers (on baking sheet). * Bake for 5 minutes. Then remove pan from oven and press about 2 pieces of chocolate and 2-3 marshmallows into each cookie. * Bake for 5-7 minutes more. 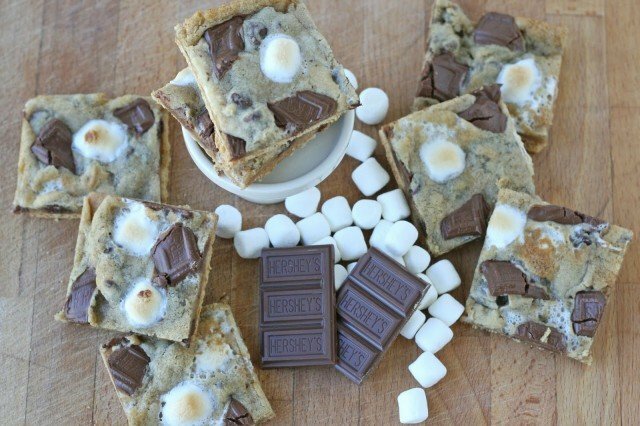 * Cool completely, then cut cookies into squares (where the graham crackers meet). Recipe Source ~ Adjusted slightly from Always with Butter. Love s’mores? 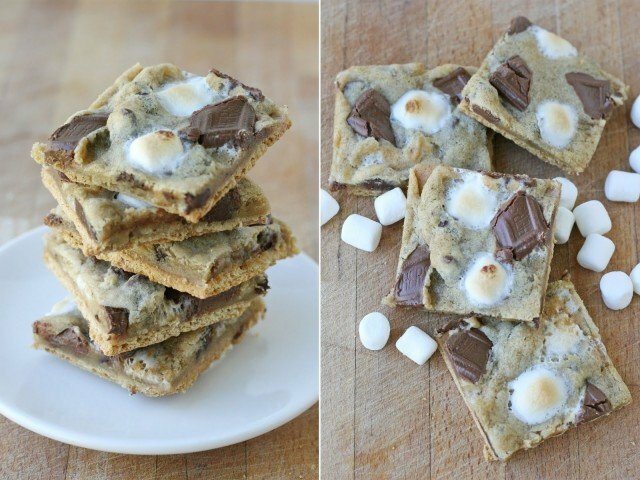 Here are a few more s’mores treats…. Oh, these look real good. I'll have to try them soon. It just keeps getting better & better. I can't wait to try all these recipes when I get back from my vacation. Love your blog! I love you more now than I already do. THESE LOOK AMAZING! AH-MAZ-ING! ohhhhhh man. in love. i seriously do not need to make these, i will eat every last one of them. oh my gosh! these look delicious!! i love this unique idea!! GREAT!!!! My son saw the picture of these yesterday and he HAD to have them, immediately! We made them last night and they are delicious!!! Thank you! Mmmmmmmmmmm…….I just love your site!! you cant help but fall in love with s'mores! 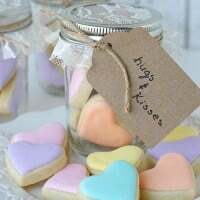 These look fab, and i'm going to make them this weekend. question – why do you bake the graham squares for 4 minutes first? @Rachel- The first time I made these they were good, but after 1 day the bottom graham cracker was soft, and I prefer it to keep a bit of crisp. Baking the graham craker first helps them to keep their crisp just a bit longer. Just made these ….yummy!! Kids loved them!!! Just made them! Love the little pinch of cinnamon. Everybody was hovering around waiting for them to cool. We loved them. I am addictive to hersey's chocolate and I think I will also be addictive at this cookies. Yummy! So scrumptious. Hi! Your pictures are nice! Hershey's Chocolate is my favorite too.I can't wait trying your Graham Crackers S'mores Cookies recipe. Thank you for sharing it. Thank you – as always!! 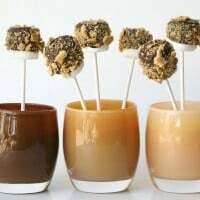 I'd love to make these but I know the Graham Crackers and hersey bars are not easy to find in Sydney. Might find a substitute though as these are too good to pass up. I got a craving to make S'mores cookies and searched the internet high and low for a good recipe. This caught my eye because of the unique placement of the graham cracker bottom and I was not disappointed! These cookies are so amazing, everyone gobbled them up. They were great hot out of the oven and even better the next day when they cooled off a bit! Perfect recipe! Holy Crow these look amazing! Hi! 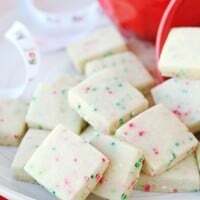 I'm getting ready to make these, just curious how many dozen does this recipe make? YUMMY! These will be a success in our house. Pingback: More S’mores Please! - URBART Inc.